Many homeowners will agree that a freestanding tub can significantly upgrade the interior design of a bathroom because it screams luxury. Most people use freestanding tubs as the focal point of the room. As such, some people install the tub in the centre, while others place it by the corner. Wherever you choose to setup the tub, it won’t fail to capture the attention of anyone who comes inside the room. A lot of freestanding bathtubs come in large sizes. Some individuals tend to shy away from buying a freestanding bath in fear that it won’t fit their bathroom. If you’re feeling the same way about the freestanding tub you saw online, then take note of its dimensions and compare it to that of your bathroom. If there’s enough space for the plumbing, you can consider installing a tub in the available area. Yes, you read that right. Slide in the tub and give it a try first before you buy it. By testing the product, you will know how comfortable you will feel while using it. Purchasing an uncomfortable freestanding tub will inevitably cause you a lot of trouble. 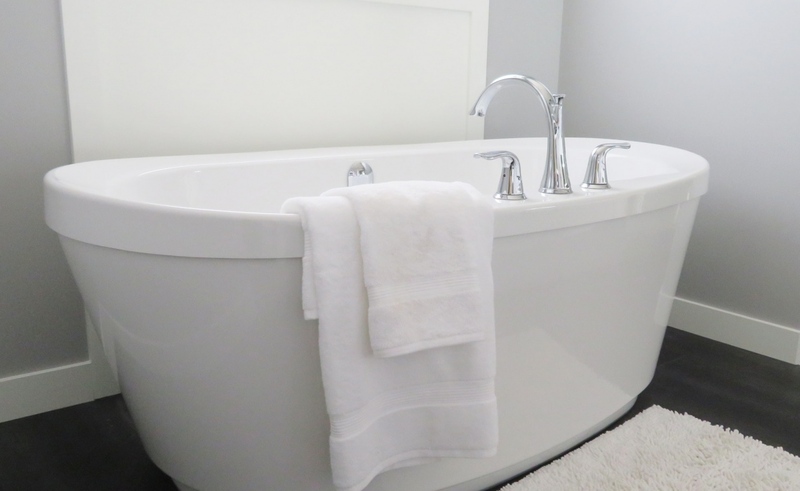 Some homeowners don’t want a freestanding tub for aesthetic purposes. Instead, they want to enjoy a spa-like experience while they are at home. If you feel the same way, then try getting a few ideas from your favourite spa. Perhaps you can try copying a few details such as their colour palette and the type of tub used. Freestanding tubs come in all shapes, sizes and colours. Because your tub can potentially become the focal point of the area, it’s crucial to get a tub that can complement the room’s theme. When you shop around, consider the colour, shape and design so that you can boost the aesthetic appeal of your bathroom. Also, don’t forget to consider the view. You can place the freestanding bath near the window so that you can thoroughly enjoy a relaxing bath while looking at the outdoors. Just make sure that you put the tub near the existing plumbing, so you don’t have to install new pipes. Now that you learned the top ways you can maximise the use of freestanding baths, what’s your next step? If you are planning to purchase one for your home, make sure that you check the specifications of the product and the room. Also, be mindful of the quality of the product. Look at any possible signs of damage and look at possible add-on fixtures like taps and racks that will improve the functionality of the tub. For a smooth and hassle-free installation, you must call in a professional contractor to help you. Don’t attempt to install the tub on your own unless you have enough experience. Otherwise, you might ruin the tub and cause thousands of pounds worth of damage.